Have you ever wondered what it would be like growing up in a big close family. If the answer is yes then this book is for you, imagine the programme The Waltons, well this is Liam's family but only just slightly smaller. 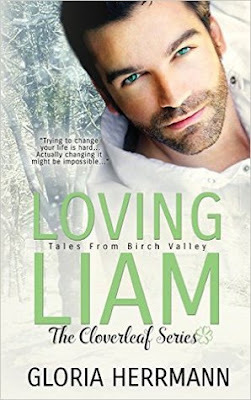 Liam is a teacher at the local elementary school, and his two brothers Patrick who is widowed with two twin boys and Daniel who is single like Liam, both Patrick and Daniel work at the family construction firm. Lastly we have Maggie who is the baby of the family, she is married to Michael who is working hard to get a partnership in the law firm that he works for, they have one daughter Melanie...but Maggie isn't happy and is wanting more, when I mean more nothing monetary, she loves her husband, daughter and they have a nice life in Seattle. Its mainly adult conversation and having a job. So that is just a taster on Liam's brothers and sister, we will get to know them in their books. Well what can I say about Rachel, at first I thought I wasn't going to like her, but then when you read about her childhood and compare to Liam's its quite sad really. So Rachel is from a well off family, her father is a plastic surgeon and her mother lives off her alimony, her parents divorced when she was young. Rachel has a older brother called Ethan who is a doctor. So I hear you say, how do these two people get together, Rachel moves to Birch Valley from California, who is the new principal of the elementary school were Liam works. Now from here I can't go into great detail, but Liam's mum is a big character and so is Chelsea, Rachel's best friend. All I will say is I can highly recommend this book. In places the book made me laugh and made me cry, because I really felt for Rachel when Liam wasn't been very nice to her. I am so looking forward to reading what happens to his brothers and sister. I will give this 5/5 stars. The book is available to buy from all outlets and Amazon.